EMC Precision Machining, a fourth-generation, family-owned company that produces complex precision metal components for a diverse group of global customers, was a stop on President Barack Obama’s area tour today prior to his Town Hall Meeting at Lorain County Community College. 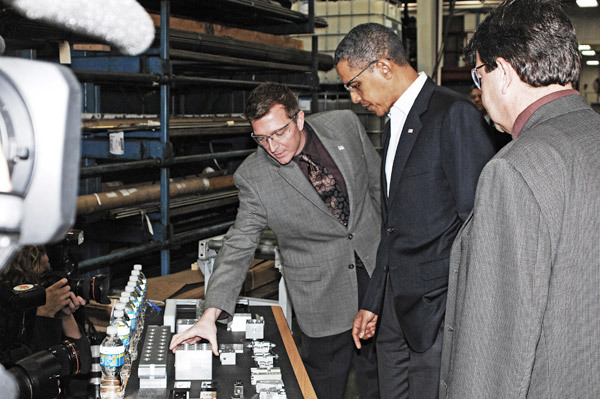 President Obama met with EMC Precision Machining CEO Jeffrey B. Ohlemacher and President Bradley R. Ohlemacher before touring the facility and meeting many of the company’s 44 full-time employees. EMC is a 4th generation, 85 year young enterprise that has weathered the economic storm by continuing to invest in its people, systems, and assets, keeping its focus on the urgent machining needs of its customers. Customers in industrial equipment, hydraulics, pneumatics, transportation, medical and aerospace and agricultural markets. EMC produce precision machined components that go into a wide range of applications, from putting glue on your cereal box, to critical hydraulics systems in helicopters. We’re glad the president got to see first hand how people who make things, make things. We’re glad that the Ohlemachers and employees at EMC Precision Machining were able to connect with the president, and share how their experience with continuous education and training, staying up to date with the latest technologies and investing in priorities has kept them competitive despite difficult times. Thats a message to take back to Washington. More details on the presidents visit here. Here. And here. 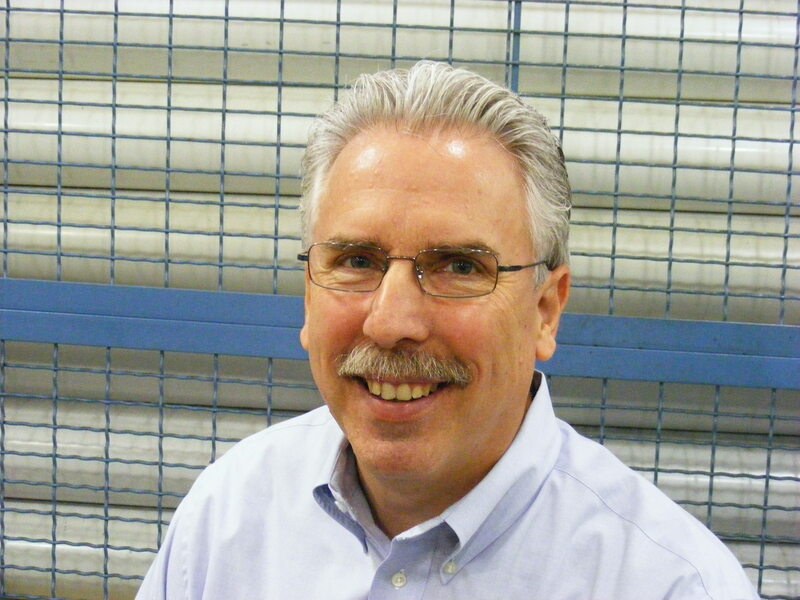 More details on EMC Precision Machining. This entry was posted on Friday, January 22nd, 2010 at 5:11 pm and is filed under Break Room, Engineering, Front Office, Shop Floor. You can follow any responses to this entry through the RSS 2.0 feed. You can leave a response, or trackback from your own site. Dear B Rad, I loved seeing your visit with our Commander in Chief. I wish he would visit Iggy at SEPCO. I am hoping to get Iggy over to Put In Bay this summer. He needs a break. Anyway, Congratulations on your Presidential visit. Take care and I am looking forward to having fun together in the near future.